JUMP ON IN OPENS FIFTH LOCATION! Lowell, MA – January 27, 2009. JOI Franchising, LLC, a Lowell, MA-based company, has announced that it has opened a new location in Boonton, NJ. This location marks the fifth Jump On In location since the original location opened in January 2005 in Lowell, MA. The new facility, to be located at 85 Fulton St., Boonton, NJ, includes over 11,000 square feet of slides, obstacle courses, trampoline basketball, table games and bouncers. 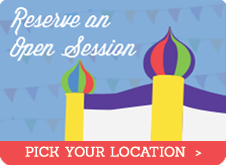 Jump On In specializes in private parties available to children in a safe, clean environment. The Boonton facility will be owned and operated by Laura Fitzgerald of Mountain Lakes, NJ. “Today it’s not uncommon for parents to invite all the children in the class,” says Fitzgerald. 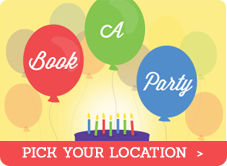 “This allows parents to have parties of up to 25 children with absolutely no hassle. We take care of everything… including hauling the presents to the car, ordering the pizza so it’s piping hot when it’s time to eat. Parents, your job is to relax!” A Grand Opening Celebration date has been set for February 7th, during which Jump On In will offer free play time to let people “try out” the equipment and see the facility. The Boonton facility will primarily offer Big Jump Parties, which include up to 25 children in a private setting, as well as a smaller, 15-child party called the Little Jump. According to Fitzgerald, the facility is also available for rentals or to charitable groups for fundraising activities. Jump On In is actively pursuing expansion in New Jersey and is currently seeking additional franchised sites. 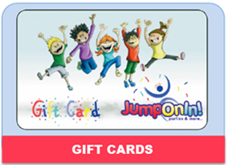 For more information, visit the company’s website at www.jumponinfun.com . Laura Fitzgerald (Boonton franchisee) may be contacted at (973) 885-1017.